I've been trying to help women have better lives, using the laws we already have. But what if the laws are wrong, or don't go far enough?" 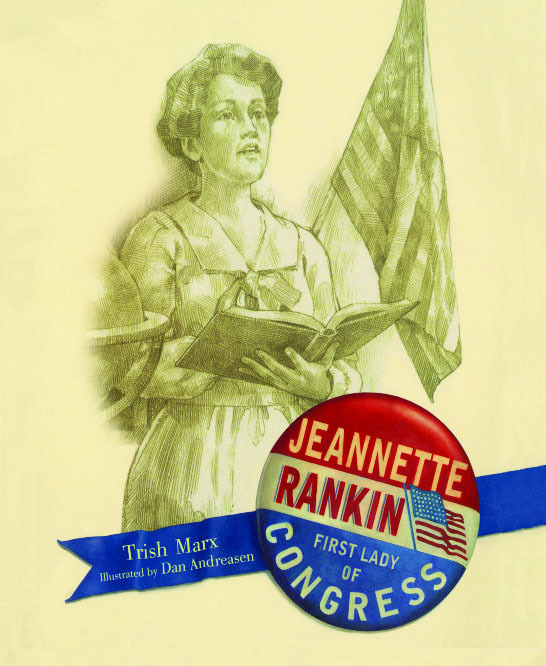 So was the thinking of Jeannette Rankin before she decided to run for Congress, years before most women even had the right to vote. Growing up a small-town girl in Montana, Jeannette showed courage and initiative, helping to run her family's ranch and daring to go to university at a time when most women did not even finish high school. She was bright and well-educated, but it wasn't until a visit to her brother in Boston -- where she glimpsed the harsh realities that women and children faced in the slums -- that she knew what she wanted to do with her life. Immediately she got to work, helping in settlement houses and working with orphaned children, but Jeannette wanted to give women the power to better their own lives -- so she shifted her focus to suffrage and ran for Congress. On November 9, 1916, Jeannette Rankin became the first woman to win a seat in the House of Representatives. While in office, she continued her fight for women's rights and also bravely advocated for peace during World War I. Jeannette Rankin was a true pioneer in women's rights and an undeniable force behind the peace movement in America. In this historical account, Marx's candid text and Andreasen's finely detailed illustrations work together to capture the strength and spirit of one of America's most inspirational leaders. Trish Marx is the author of several award-winning books for children, including Touching the Sky: The Flying Adventures of Wilbur and Orville Wright, co-written with Louise Borden, a winner of the Association of Booksellers for Children Choices Award and a Notable Children's Trade Book in the Field of Social Studies; Everglades Forever: Restoring America's Great Wetland, a selection on the 2004 Book Links Favorites List; and Reaching for the Sun: Kids in Cuba, the recipient of the 2003 Gustavus Myers Outstanding Book Award. She lives with her family in New York City.